With Fairtrade Fortnight starting this week (29th February), we have revealed that our Ginger Pale Ale is now officially the UK’s only Fairtrade certified beer. 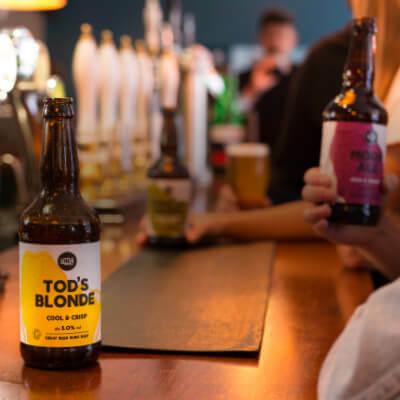 The Ginger Pale Ale, which is also vegan and organic, has also been named the first Fairtrade beer of its kind in the world. Little Valley brews a range of 10 beers, all of which are vegan and organic. The Ginger Pale Ale launched in Spring 2008 and has now been named as the only beer in the UK that is certified by the Fairtrade Foundation. We’ve always known that our beers are unique and offer a point of difference to the consumer. Some of the things that we are seeing the big brewers doing now, like Guinness going vegan for example, we’ve been doing since day one. A lot of hard work and meticulous process goes into brewing the Ginger Pale Ale, including peeling the fresh ginger by hand, so it’s great that we are now able to say, officially, that our Ginger Pale Ale is the only Fairtrade certified beer in the UK! We chose to develop a Ginger Pale Ale as a means of expressing our support, particularly for farmers in the developing world, but at the same time not to neglect our own farmers here in Britain. 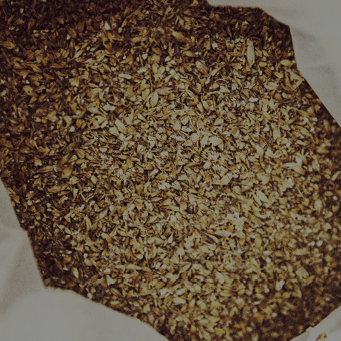 We knew that we could not source ginger or sugar cane from farmers in UK or wider EU and so it made sense to us to use that as the special ingredient for this brew. We source ingredients from Paraguay, Sri Lanka and India, whilst 95% of our barley for our beers comes from the UK and the other 5%, which we can’t get from the UK, comes from the EU. It’s fantastic news that Little Valley Brewery has made commitment to Fairtrade. Fairtrade has paved the way for sustainable trading by providing a safety net for world’s poorest farmers. Today the scheme works with more than 1.5 million farmers and workers across 74 countries – thanks to the ongoing support of consumers, campaigners and businesses around the globe. 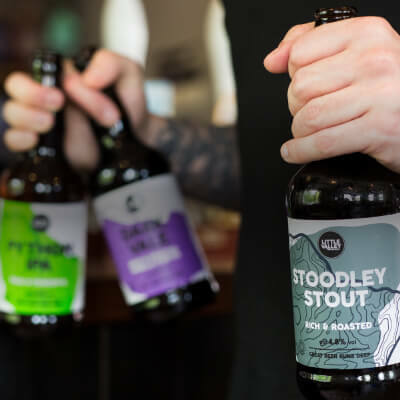 The commitment to offer Fairtrade-certified beer illustrates there is a growing demand from UK shoppers for ethically sourced produce and we hope this will inspire other beverage brands to follow suit. Visit the Little Valley website here: http://bit.ly/1o6wRE2 or to find out more follow Little Valley on Twitter at twitter.com/LittleValleyAle.